Angel Wings Learning Center provides care for children between the ages of two-weeks and 12 years old. We believe that children learn most effectively through play. Though play is emphasized, our staff's weekly lesson plans are aimed towards developing emotional, social, literacy, fine/large motor, and cognitive skills. Our staff encourages the idea that "Learning is FUN!" by teaching through song and dance. Mission Statement: To guide each child to find God's specific purpose for their life by providing loving teachers and a safe, quality environment to learn and grow. 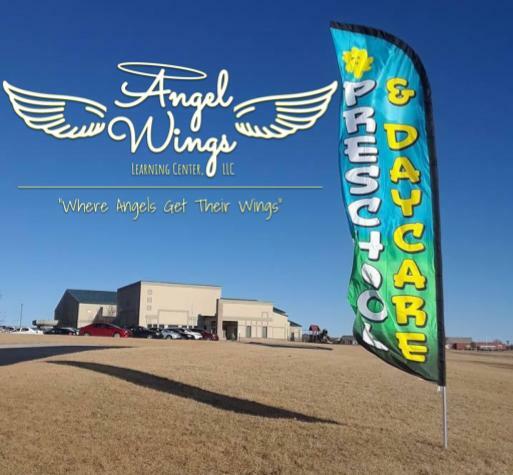 Angel Wings Learning Center is dedicated to providing safe, affordable, loving, educational care for your child.